A large number of people, the world over, suffer from an over active bladder. This medical condition causes sudden, involuntary contractions of the muscles that form the walls of the bladder. The condition is characterized by the urgent need to urinate and involuntary loss of urine. In addition, it has a negative effect on the quality of life of the sufferer. OAB is also the most prevalent type of bladder disorder. It affects about 39 million people in the US alone and 66 million Europeans. What causes Overactive Bladder (OAB)? Pelvic muscle weakness resulting from the thinning of the urethra lining after menopause. Failure of the bladder to close properly. Surgery can help correct poor bladder support, thus helping the bladder to close properly. Bladder control can be improved through tailor made regime of exercise and instructions for particular individuals. These exercises help strengthen the pelvic muscles, which in turn help patients to regain and maintain continence as well as improve pelvic support. This medical condition can be treated through prescription medications, which is the first line of therapy. This treatment option is effective, but it is associated with unpleasant side effects. Available data shows that in 50% of the cases, use of medications is ineffective and is also associated with adverse side effects. Failure of the device to work properly, thus necessitating repeat surgeries to replace the battery. Frequent breakdown of the electric device, which requires replacement from time to time through surgery. Because of these problems, manufacturers of these devices are planning to develop smaller versions that may not involve surgery. The use of Botox (botulinum toxin) was approved by the FDA in 2011 to treat overactive bladder. This is not the same as the usual Botox treatment you get at a clinic like TherapieClinic.co.uk. The current method involves the use of a cytoscope as well as a needle to help inject the Botox into the walls of the bladder. In addition, the method is very expensive, can cause infection and pain, and also requires local anesthesia or sedation. As a matter of fact, the treatment option involves 20 to 30 injection sites and can lead to urinary tract infections. It also needs to be performed under sedation in most cases. There is good news for you if you are suffering from overacting bladder: Needle-Free Botox for Your Bladder is now a Reality. An Israeli company is now developing a catheter that is ultrasound based that can be used to deliver Botox into wall of the bladder without causing pain and without using needles. The name of this company is Vensica and the product that being developed is known as VensiCare system. The procedure involves opening pores in the tissue and ‘pushing’ the drug through them. It can be performed in a doctor’s clinic or office without the need for anesthesia. Vensica has actually improved the existing method of treating OAB which is actually meant to reduce patient discomfort. 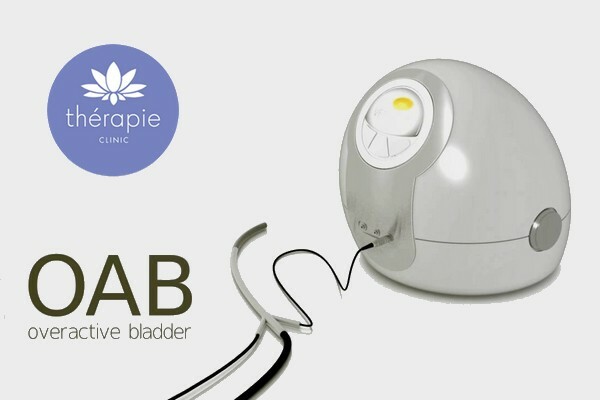 It simplifies the treatment of over-active bladder. This is because direct visualization of the bladder wall is not required. It does not require an operating room, which means it is simpler and more convenient. It is credited with improving patient’s satisfaction. This is because it is not painful and no sedation is required. The procedure is less risky: This is because it does not require the use of needles, thus eliminating potential infections associated with injections. The VensiCare System is very effective and will improve the quality of life for millions of OAB sufferers. The best news for all OAB sufferers is the development of the Needle-Free Botox for the bladder. This treatment option is set to revolutionalise the treatment of OAB the world over, leading to improved lives. This is really great device, I want the same one :-)Have a nice weekend my dear! It looks great! I would like to try it. This is a really good post for people who have a weak bladder, and we never know if one of us would have it one day or not. Hope not, but if, the information is here! Hope you have a very nice weekend, dear Pamela! this sounds awesome :) thanks for sharing! 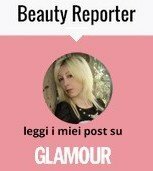 Un post pieno di informazioni utilissime, ti confesso che alcuni rimedi mi spaventano un po’ ma credo che se fatti da professionistinon ci sia nulla da temere! Un post pieno di utili informazioni, grazie! This is a great advancement in medicine and I hope it’s easily available and affordable for people in need of it. Great share! Oh, now I want to try it out! Thanks for sharing! It’s really big problem! Very important post! Ma pensa un pò…Molto interessante questo post! Good to know about that, thanks for sharing, dear! È un macchinario utile per chi ha di questi problemi!!! Bacione Carla! This sounds very interesting and a great alternative. Wow! this is quite informative. I like this and thanks for sharing. Un bacione Pamela, buon martedì! sembra davvero interessante questo prodotto!! I love it. Thanks for sharing dear.